Our first product introduced in 2008, the Tether Table Aero, has a long, rich history. 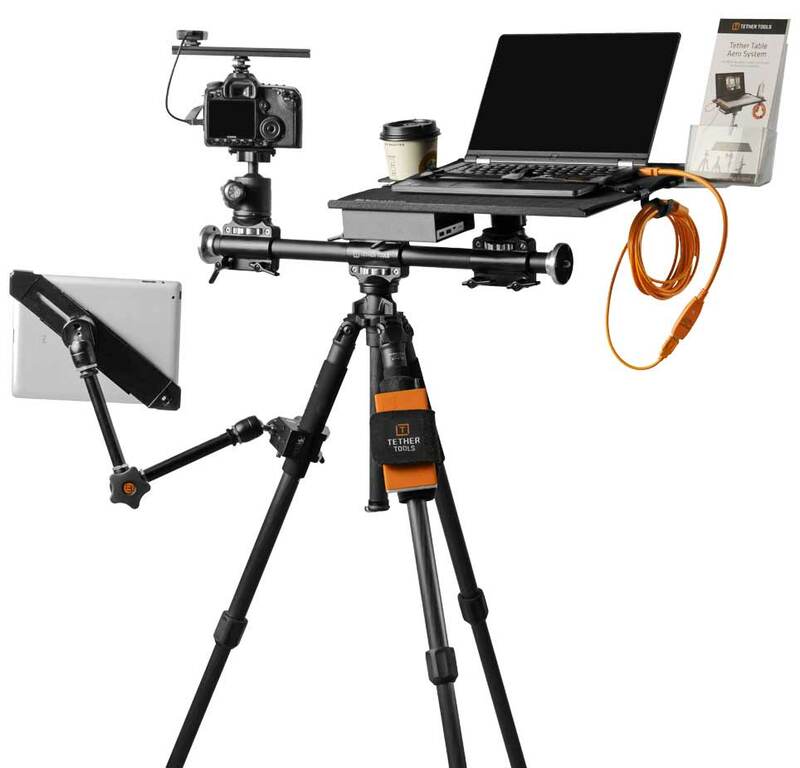 Crafted out of a need for photographers to have a professional, secure workstation when shooting out in the field or in studio, the Tether Table Aero provides a stable portable tethering platform. Since then, Tether Tools has worked to design and manufacture tools that expand the possibilities of photographers, videographers, and creatives in all fields. It’s why we’re here, it’s the beating heart of our business. Our tools are used by creatives across the globe as an essential piece of their workflow and safety on set. The Tether Table Aero System allows you to build a portable, stable workstation that fits your unique needs. Start with any tripod or C stand, add a stable, lightweight, and portable Tether Table laptop platform and accessorize the set up as you see fit.